Looking for a place to learn, grow, and connect? Look no further. Connect with experienced, new and aspiring team leaders from a variety of sectors for regular learning and conversation. This is part of an annual membership group at the Teams365 Leadership Lab. What would a sustained focus on your own development look like? What impact would it have? 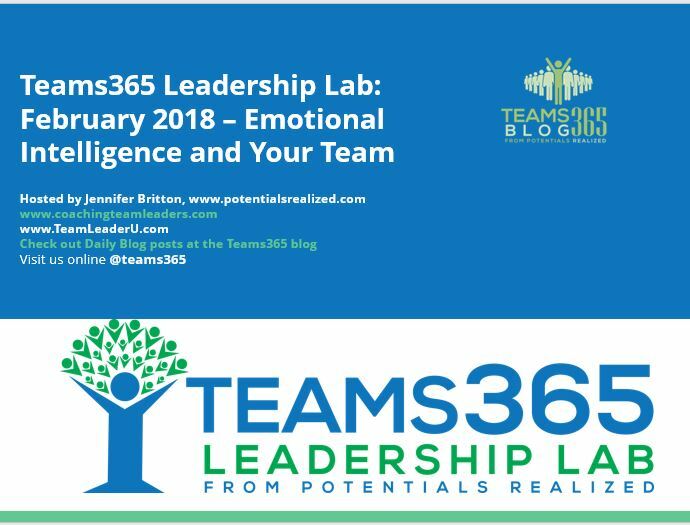 ​Join Jennifer Britton, host of the Teams365 blog, for the Teams365 Leadership Lab, an annual membership group that meets throughout the year, and has access to a wide variety of tools, templates and other resources to support you in your work, and development as a team leader. Regardless of the industry you are working in, leadership is leadership. And leaders today benefit from ongoing learning and support. That's our focus at the Teams365 Leadership Lab. ​As we step into our 6th year at the Teams365 blog we know that there's a lot you can draw on, and probably a lot you didn't know already existed. Each month throughout 2019 we'll be taking a different focus on skills to set you, and your team apart. Whether you are an experienced leader, a new one, or someone who aspires to be a leader one day, the Teams365 Leadership Lab provides with a rich resource portal. ​Access to two live calls a month with Teams365 host, coach, and leader, Jennifer Britton. Check out our 2018 themes here. 2019 themes are going to focus on Strengths, Styles, Virtual Work, Team Development, and more. Download the 2019 call schedule using the button. 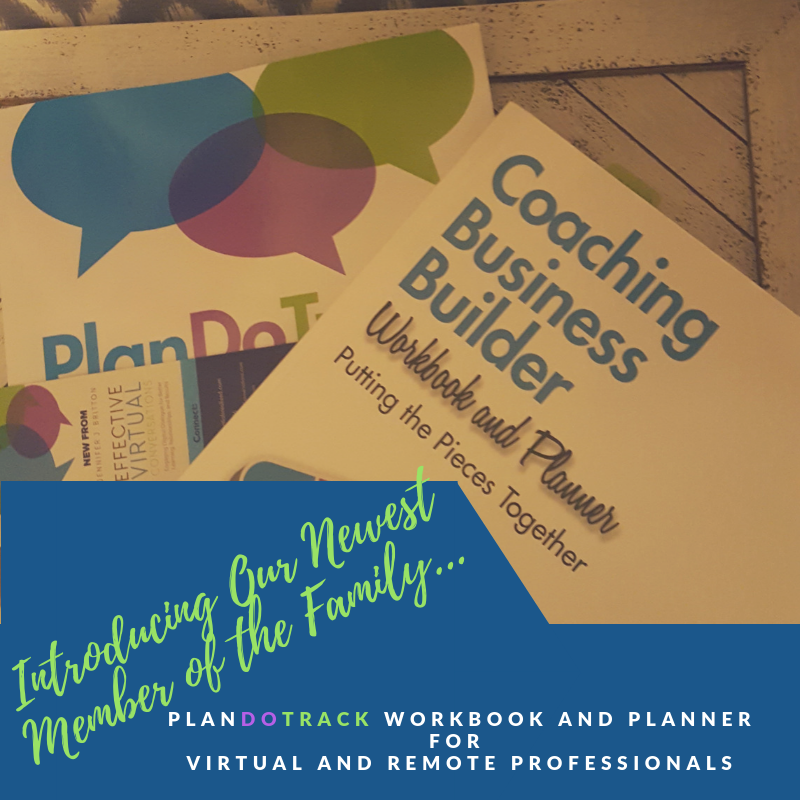 ​You also get immediate access to a variety of resources Jennifer has created for leaders, as well as "first dibs" on other new resources and products we are developing. 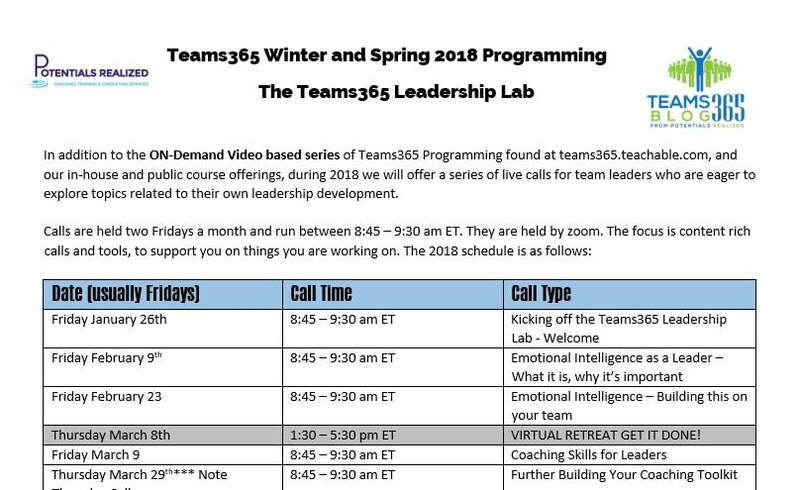 Grab your spot in the Teams365 Leadership Lab for only $97 US a month, or $1150 US for the year. This is our most cost effective option for 365 days of support from the Teams365 blog. ​Grab your spot now, with a purchase over at our Teams365 site. Join Jennifer twice a month for a 30 minute learning call. These will provide you with the sound-bytes of relevant topics for you as a team leader. The second call each month will take you through a hands-on leadership learning practicum. Whether it's an experiential exercise which gets you to roll up your sleeves, or some scenario-based learning, this second call gets you into hands-on action. ​The calls are usually related to the monthly theme. Recent themes have included virtual presentations, team development, goal setting. The final benefit of the Teams365 Leadership Lab is that you get to access new content from Jennifer FIRST, as well as a monthly template you can use in your own work. Participants in our other Labs usually find immediate application right away.